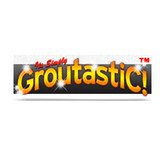 SOLIGT.ME is a young and passionate brand which focuses on essential oil accessories. 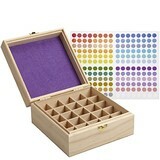 Each and every product we sell is crafted with our heart, and also high quality materials of course. In our minds, we rank quality way above quantity because we believe in innovation, we believe in that we can always go for that extra mile, and we believe in bringing better products and better services to our customers. This is our mission. This, is SOLIGT. 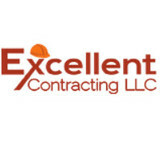 Excellent Contracting LLC is a licensed NYC general contractor. We specialize in exterior façade repair and restoration. Our specialties include brownstone, brick and general masonry work. Our goal is to provide our clients with the highest quality work in the most cost efficient way. We put our expertise, experience, and integrity into every project we work on. Our masons have over combined 150 years of experience. Our attention to detail is what make us one of the leading brownstone restoration specialists in NYC. We are NYC largest stone cleaning company. Offering the latest techniques for stone restoration and repair. Contact us for any Stone Cleaning or Polishing needs! Powerhouse Pressure Washing of Staten Island, NY take pride in offering exterior property cleaning for commercial and residential clients. Professional power washing services at its best. Our goals are simple; we strive to leave your world cleaner than we found it while providing excellent customer service. Whether you need your windows cleaned or your entire house washed, we are the company that will do it and do it well. Here you will find information about the residential services that we provide with a brief description of one of our many cleaning techniques. Since we began our company, we continue to provide cleaning services to many different business types. We will customize the service proposal that will meet your needs and provide excellent results. Comprehensive care of Marble, Stone, Tile and Concrete, installation, restoration, cleaning, from A to Z, visit out award winning web site for full details, over 20 years in the stone & tile business, Connecticut, Westchester, New York City. 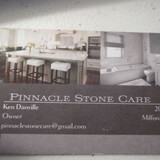 We are a full service stone restoration company. Interior and Exterior. Our company works on all natural stone surfaces. We offer chip and crack repairs as well. Hello: We we manufacture stone counter tops and vanities. We also, restore and clean stone entryways and floors. Natural stone requires professional stone cleaning, not just the occasional mop and bucket. The porous materials that stone, such as marble, slate and travertine, is composed of needs special tools and knowledge to properly clean and preserve its natural beauty. Improve the look and overall health of your home by hiring a Copiague stone cleaner to come in and professionally deep clean your floors, counters and more. What can I expect from a professional stone cleaner in Copiague, NY? Find a Copiague natural stone cleaner on Houzz. Narrow your search in the Professionals section of the website to local stone cleaners in Copiague, NY and read reviews and ratings to find one that fits your needs.